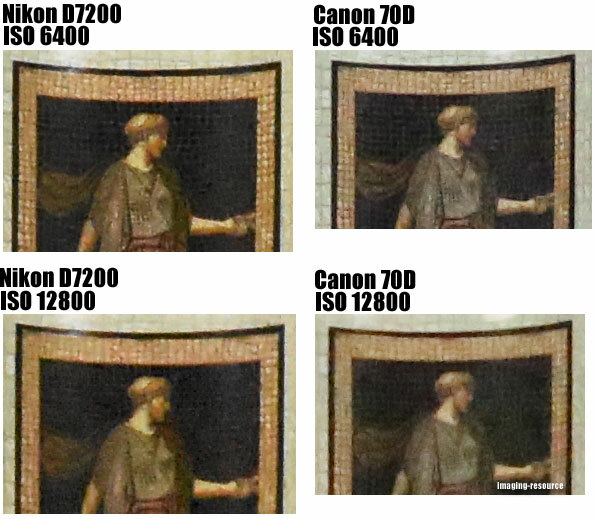 Nikon D7200 showing bit more details compared to Canon 70D, but the difference is very marginal… and as we know that the Canon 70D features dual pixel AF sensor so, while shooting live with display unit or recording videos the Hybrid AF of Canon 70D will perform better than the AF system of Nikon D7200. 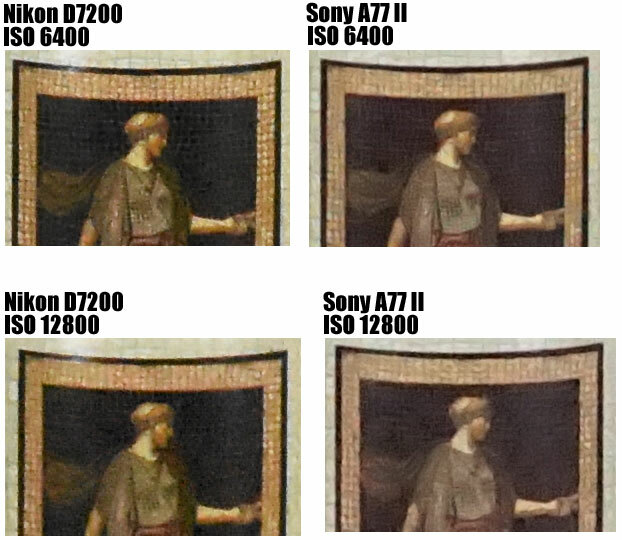 Due to the fixed mirror technology / SLT tech based camera like the Sony A77 II suffers from more than 10% loss of light falling on the sensor, Nikon D7200 is a clear winner of the high ISO test. 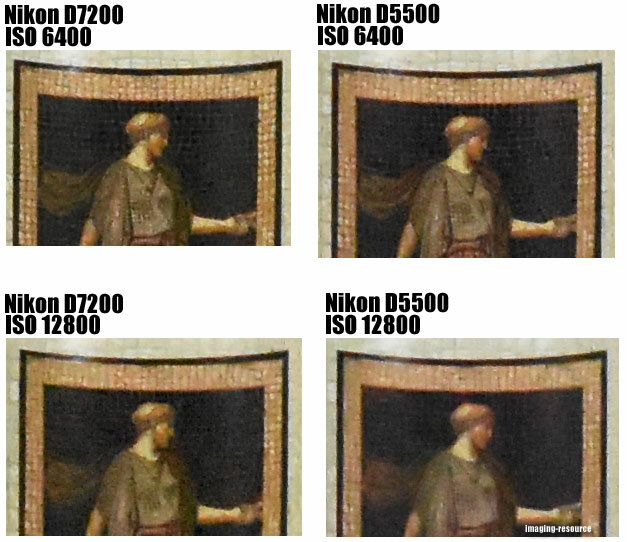 Nikon D7200 vs Nikon D5500, as we can clearly the Nikon D7200 is showing more details compared to the Nikon D5500 at both the ISO range, however the difference is very less between these two camera. 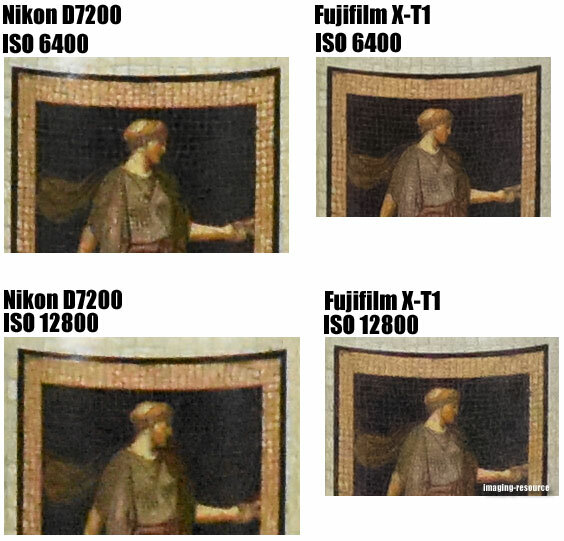 As we can see the X-T1 camera is showing more details compared to the Nikon D7200 at both the ISO range. The Image quality is almost same but somehow the Nikon D7200 is able to preserve more details compared to Canon 7D Mk II. the test was not about AF, but high ISO performance. it seems that every time Nikon scores high against Canon, you have to mention some other aspect to take away from Nikon. We have edited the post.